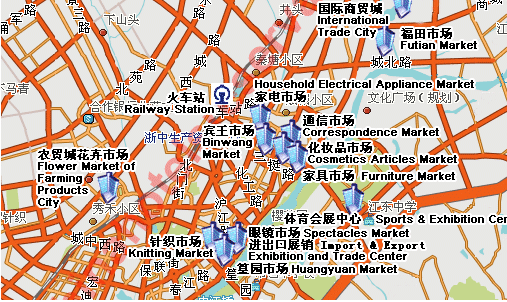 Yiwu is famous of its market, the market in Yiwu is begin from the city started. It has a long history,Yiwu market history. There is the tradition of trade in this inland city, whose farmland is so poor. In order to gain more grain, Yiwu people have to try everything they can to make their land richer. So they thought of trade. They use the local product brown sugar exchange for chicken feather, which can be used as fertilizer. Good looking chicken feather can be made as feather duster that would for trading again. Through do business around Yiwu people gain better life. Though the last chang in 2011, now the market in yiwu becom more professional, more bigger, as you know, there are Yiwu China international trade city, Yiwu new huangyuan clothing market, and other street market.